A Chinese consortium led by CITIC Group has agreed to take a 70% stake in a deepwater sea port project in Myanmar, Reuters has reported. 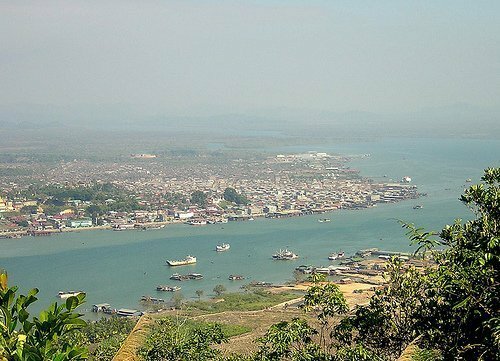 According to Oo Maung, vice chairman of a government-led committee overseeing the project, Myanmar reached an agreement with the consortium in September for the development of a deep sea port in Kyauk Pyu in Rakhine state. The total cost of the project could reach $7.2bn, however the two parties have not yet reached an agreement on financing details and still need further negotiations to move the project forward. Yuan Shaobin, executive president of CITIC Myanmar, said the company had agreed to take a 30% stake in the project. In additional to CITIC, the consortium includes China Harbor Engineering Company, China Merchants Holdings, TEDA Investment Holding and Yunnan Construction Engineering Group. The project also includes the development of a special economic zone in Rakhine. The potential deal is the latest move by Chinese companies to expand their presence in the global port industry, supported by China’s One Belt, One Road initiative. China Merchants Port Holdings, the port investment and operation unit of China Merchants Group, has concluded port deals in Brazil and Sri Lanka this year.